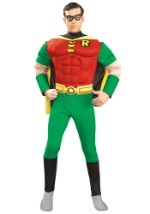 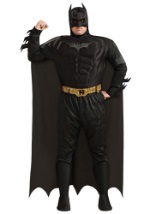 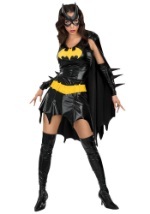 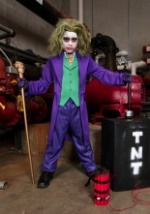 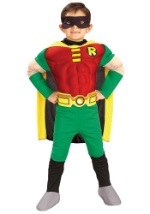 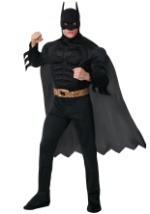 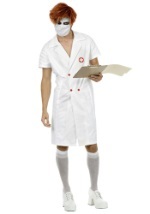 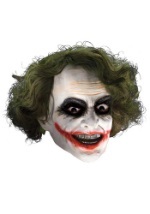 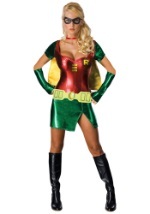 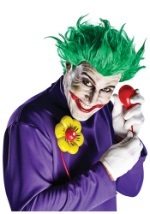 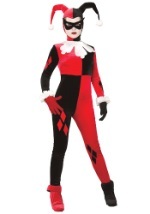 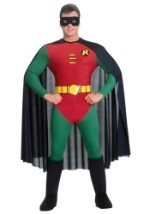 You'll go batty on Gotham City this Halloween in our Joker costume. 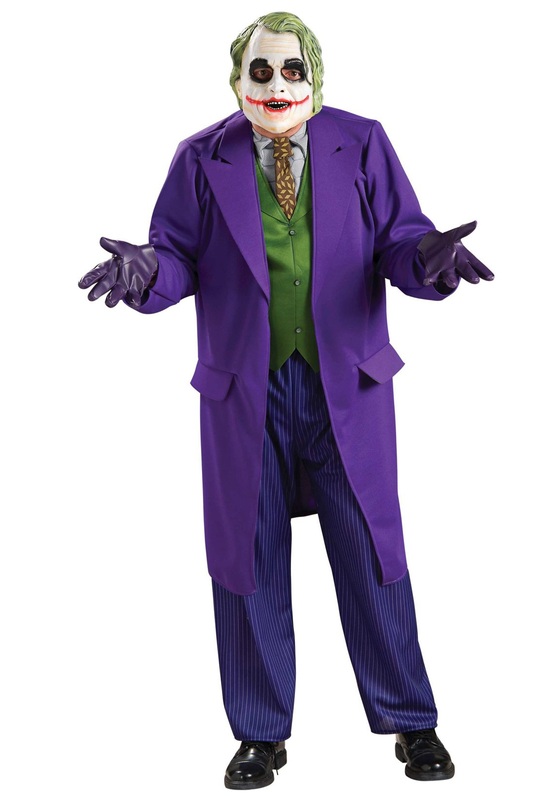 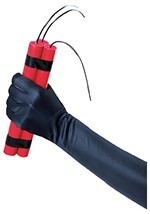 The anti-superhero costume includes an authentic purple jacket with fastened shirt, bright green vest and tie. 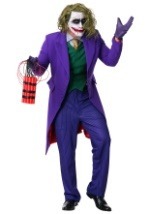 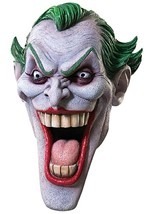 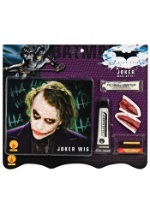 Purple pin striped pants and a high quality Joker mask are also included. 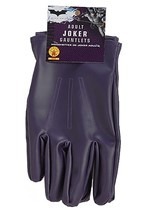 For the authentic Dark Knight Joker look, you'll also need to pick up our purple joker gloves from our accessories section.